A PO Box - or Post Office Box - is a unique feature supplied by Royal Mail which allows you to have your mail collected and kept at your local sorting office until you have time to collect it yourself. 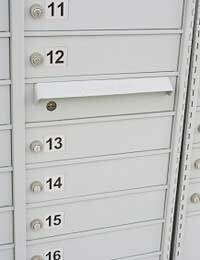 The idea of a PO Box is so that you can - depending on your reasons - can keep your home address separate from work if you are self employed and do not wish your address to be made common knowledge. This may sound to some as though there is something untoward in the practice but really it makes for good sense if you work from home and wish to maintain a level of distance between the two. Can Anyone Have a PO Box? The answer is yes most people can have a PO Box - excluding children - as long as they can provide proof of their identity and also proof of residency going back at least three months. Forms for the service are available from your local post office or can be downloaded from the Royal Mail website. Any of the above along with the accompanying completed application form are sufficient for you to have your own PO Box. Does It Cost to Have A PO Box? There is a fee that is payable either every six months or annually depending on the period of time you wish to have a PO Box for. Also it depends on the service you wish to have available to you. The Royal Mail offer a service that allows your mail to simply go to a PO Box for your own collection (this means you provide your clients with the PO Box address and they address all mail directly to it) or they can take the mail that has been sent to your home address and redirect it to your PO Box. There is an addition fee for this and you can find out more at Royal Mail's website as well as a more detailed list of the services they have to offer. Can I Have All My Mail Sent to My PO Box? There are some kinds of mail that cannot be sent to a PO Box. Mail that is marked as 'Do Not Redirect' such as mail from the Department of Health and Social Services, other government departments along with some other banking institutions cannot be delivered. Also packages or mail from other couriers or delivery services cannot be sent to your PO Box. Again Royal Mail will be able to provide you with more information on what can and cannot be delivered to your PO Box. What About Mail That Needs My Signature? Unfortunately other individuals cannot sign for mail on your behalf unless the mail in question has been delivered to your home. If there are items which require a signature delivered to your PO Box a member of Post Office staff will leave a reminder card in your PO Box informing you that you will need to speak to a member of staff and sign for the items yourself. Post Office staff are forbidden from signing for members of the public's mail.